Following the lead of airlines, some big cruise lines are moving toward the airlines’ pricing philosophy: Keep the base price low, and make up the difference with fees. How this will play out is anybody’s guess, but if you’re considering a cruise, you need to look past the initially featured rates. My friends at Cruise Critic recently reported that Royal Caribbean just raised the prices in its nine major-ship “premium” Chops Grille restaurants from $25 to $30 per person. You do, however, get to enjoy reasonably upscale dining. Less understandable are increased surcharges at the casual Mexican and seafood venues on some other ships. Royal also instituted a fee for room service. Many giant mass-market cruise ships now have “alternative” restaurants where you can enjoy presumably premium dining experiences for extra fees up to $45 per person per meal. Several lines even charge extra for “premium” entrees in their main dining areas, where food has traditionally been included in the base fee. And some even charge extra for extra-fancy ice cream desserts. Although many ships provide Internet access, per-minute fees can be outrageous, and even the multi-day packages, typically $100 for 250 minutes, are incredibly high. Drink prices tend to be stiff, especially given that cruise lines buy tax-free liquor: typically $5 and up for a standard 12-ounce domestic beer, $8 and up for a glass of ordinary wine, and $2 for a Coke or Pepsi. Carnival and Royal are currently testing all-you-can-drink packages at around $50 a day per person (tip not included), limited to non-premium drinks, wine, and beer. A few smaller lines also have drink packages. Normally, you’d think that drinking $300 worth of alcohol in a week would leave you with the mother of all headaches, but given the menu prices, you wouldn’t have to overdo it to come out even. Similarly, several lines sell soft-drink packages. You also run into the occasional oddball charge, such as Norwegian’s $40 fee to store golf clubs. Of course, some options have always been extra costly—and usually extra expensive. All the cruise guides recommend against buying anything in the cruise line’s high-priced “boutiques” and other retail outlets; they also warn about high spa prices, and industry legend says that the percentage return in typical shipboard casinos is considerably worse than in Vegas. There’s no secret to what’s going on here. 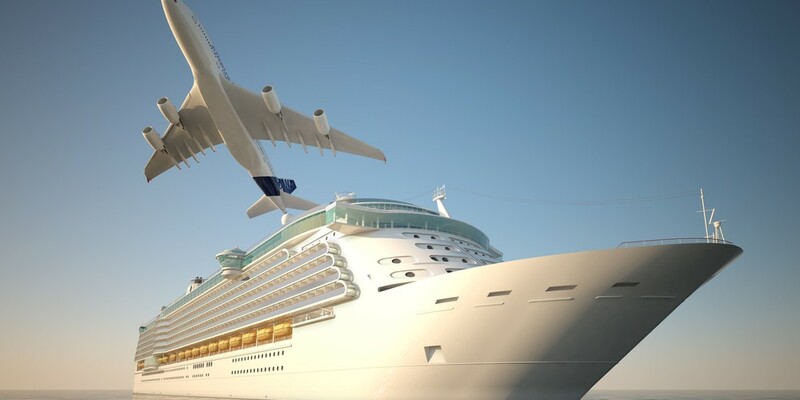 The dominance of online cruise agencies, with their price comparison capabilities and focus on low-price deals, has put tremendous pressure on the mass-market lines to show the lowest possible base prices. That’s the same pressure behind the airlines’ sudden burst of fee initiatives in recent years, with the same result: Increasingly, cruise lines are carving out services and features that were formerly included in the base rates and instead pricing them as optional fees. But there is some question as to whether the cruise lines can and will go as far as the airlines in this process. With much fanfare, in 2005, EasyCruise began operating Mediterranean/Aegean cruises, where everything but the cabin was extra, but that model seems to have failed. At present, EasyCruise seems to be dormant, and even before the hiatus it reverted to prices that included breakfast and either lunch or dinner. Clearly, at least so far, cruise lines have felt more pushback than airlines from consumers on the proliferation of fees. And you can still cruise on a mass-market line without having to shell out any extra fees—although the experience may be a bit more limited than in previous times. Even with fees, per-day costs on a cruise rival what you’d pay in a land-based resort. But you have to be extra careful to avoid being nickel-and-dimed—or at least to budget for the nickels and dimes when you start.